Think we’ve moved far beyond the blatant gender discrimination portrayed in “Mad Men?” Think again. It’s just not out in the open anymore. In his State of the Union address in January, President Obama said he believes it’s time we moved beyond workplace norms that belong in a “Mad Men” episode. The AMC series, with its arrogant, womanizing lead character Don Draper, is known for authentically depicting gender disparities in the workplace in the 1960s. The women in the show serve as secretaries, both literally and figuratively, to the ad men of Madison Avenue. They are punished for questioning the men in charge and are, for the most part, powerless in both their careers and marriages. While I commend Obama’s support for gender equality, I couldn’t help but wonder how in 2014 we’re still aspiring to move beyond “Mad Men”? Shouldn’t we aspire to more? 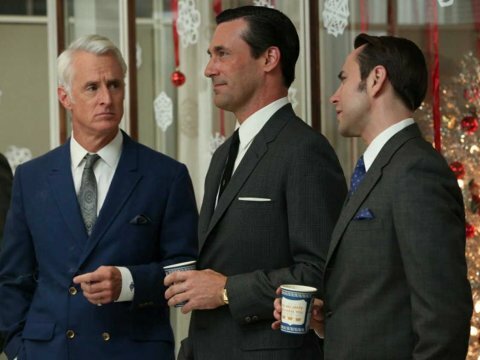 The truth is modern workplaces aren’t so different from the fictional offices of Sterling Cooper & Partners. Today, all employers claim that women and men are equal in their eyes, yet women are consistently paid 82 cents on the dollar compared to men for doing the same work. Women receive nearly 60% of college degrees but hold only 14.6% of executive leadership positions and just 4.6% of CEO roles at America’s largest public companies. And in fact, a study conducted by Sociometrics Solutions found that, when quantifiable, women are generally more productive than men but are promoted less often. Why is this? Many argue that it’s because Corporate America is still designed by men, for men. Women are considered a liability if they become pregnant or have small children to care for, while men with children are viewed no differently than a man without.